Hosting a Georgia wedding? 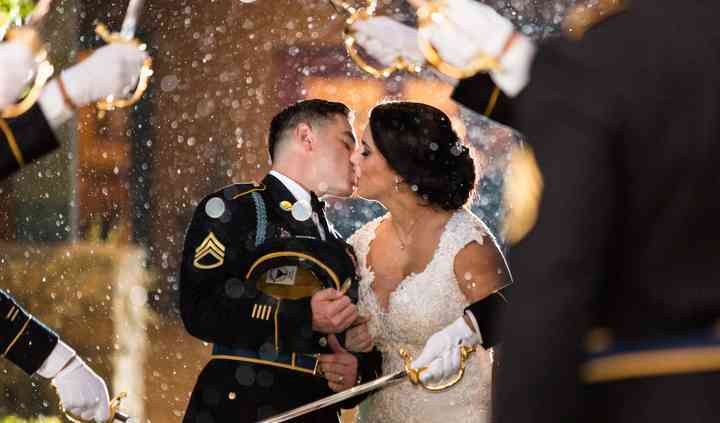 Hire an Atlanta wedding photographer to capture all the moments, big and small. Before selecting your Atlanta wedding photographer, be sure that you’ve set your date, and have your venue booked...Read more and a budget firmly in mind. You’ll also want to find the photography style you like best—from documentary to fine art, there’s sure to be an Atlanta wedding photographer who can create the images you desire! Did your love ripen in the Big Peach? 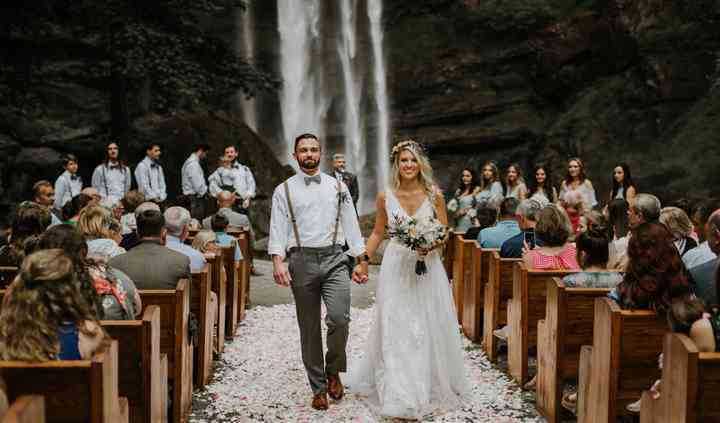 Whether your relationship bloomed during a trip to the Georgia Aquarium or you’re returning to your roots in Buckhead for your special day, there’s no shortage of amazing wedding photographers in Atlanta, Georgia, to capture your celebration. 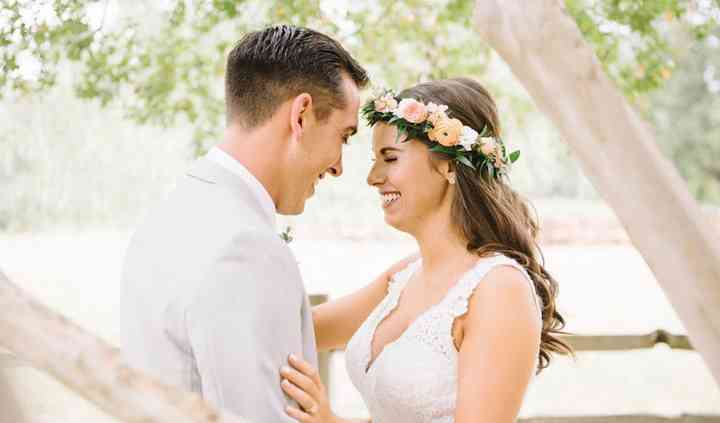 Before you begin dreaming up picture-perfect poses, there are a few things to know about finding the cameraperson that’s the right fit for you and your partner. Begin your search for the perfect cameraperson by deciding on how you want your wedding album to look. Do you prefer natural shots that show the raw emotion of the day, or do you like something with more enhanced colors and a dream-like effect? Once you and your partner have decided, look through photographers’ portfolios and interview those with a style matching your own. At a minimum, Atlanta wedding photographers charge $2,000 for a basic photo package. Once you’ve found a photographer or photography company you love, negotiate with them on what will be included in the package. Do you want a special “first look” picture? Is it crucial that you have video recording of your reception? Planning out what will be in the final product ahead of time means you and your photographer are on the same page. It also means that you won’t be scrambling to make decisions on your big day. Atlanta is full of picture-perfect places. There are many gorgeous outdoor spaces, but Piedmont Park tops the list for photo opps. Located in the heart of the city, the park is accessible and offers stunning greenery, views of the skyline and the sandy shores of Lake Clara Meer. For additional outdoor options, consider Centennial Olympic Park or the Atlanta Botanical Garden. If your love blossoms indoors, visit the Atlanta History Center’s Swan House in Buckhead. The Swan House mansion was built in 1928 and features elegant staircases, grand fountains and classic pillars that are perfect for posing. Atlanta experiences four vibrant seasons. While you’re wedding planning, think long and hard about what time of year you’d like to get hitched in. Do you see yourself as a summer couple, or is winter more your thing? Most couples wed in late spring or early fall in Atlanta. Spring and fall have the lowest chance of rain, although the city is known for receiving light rain showers year-round. If you’re planning an outdoor wedding, don’t let this deter you, just have back-up indoor options or awnings available. Additionally, the Big Peach is known for being quite humid. Remember to pack some extra hairspray if your day-of look is going to be affected by lots of moisture in the air. Your wedding budget is set and you’ve created a guest list, but there are still lots of items on your wedding checklist. Instead of taking on the planning alone, use the resources here on WeddingWire for some organizational help and a touch of event inspiration.